That house looks cozy enough to live in...if it were a little bigger. Toyota began building houses in 1975 on an assembly line. 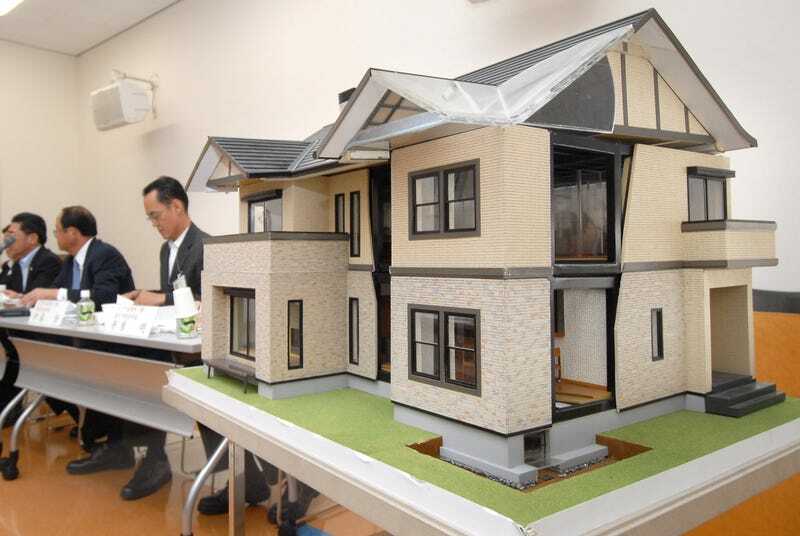 In fact, some dealerships sold housing plans in an effort to "make Japanese homes better." Toyota has built nearly 250,000 homes and has expanded to offer condos, mortgages, and even temporary shelter for earthquake victims in Turkey. If you're interested, a new Toyota house will run you $200,000 minimum, with options running the price up to $800,000. Do you have $275k burning a hole in your pocket? We'd like to recommend a Ponam-31. From 1998 to 2001, Toyota sold their Epic boats around the world in an effort to expand their offerings. Beginning with the Epic 21 closed bow ski boat in 1998, Toyota's foray into the water was well received by water sport enthusiasts. In fact, Toyota opened a 70,000 square foot facility (complete with a ski lake!) in 2001, but it was closed soon after due to poor sales. A U-shaped sofa. Card games, anyone? Interested? Prices start around $275k . Kirobo Mini, complete with a Toyota logo on the chest. No, these aren't the "taking over the world" kind of robots...more like the insanely cute, almost cuddly kind. Thanks to Toyota, you can now have your very own baby robot best friend. Based on the original Kirobo robot that spent 18 months in the International Space Station, Kirobo Mini is a small companion robot that reads your emotions, makes small talk (only in Japanese), and begs you to take him wherever you go. At 4" tall, Kirobo is the perfect pint-size buddy to take on all your adventures. Yes, it's a car, but it's also a train. This Toyota microbus can hold 25 passengers and was actually in use for a while in Japan's public transport system. This dual road/rail vehicle was developed by Hino Motors, Toyota's truck manufacturing division, and comes equipped with 4 rubber tires for the road and 4 steel wheels for the rails. Believe it or not, a subsidiary of Toyota developed the "Quick Response" (QR) code in 1994! Though originally developed to manage automotive component inventories, QR code popularity has grown exponentially in the age of smartphones. Toyota is sew ahead of the curve. Toyota actually has their own Home Sewing website, and it's pretty neat. Though they've produced sewing machines since 1945 under the guidance of Toyota Corp founder Kiichiro Toyoda, they fly under the radar here in the USA. Still, you can always order one of the most functional sewing machines in the world online. The most technologically advanced fork lift in the world. What do France, Sweden, and Italy all have in common? 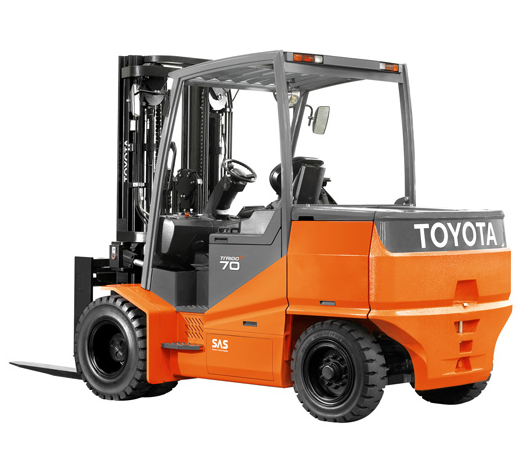 They all produce Toyota forklifts and pallet trucks. And these are no ordinary workhorses - they're equipped with technologies like Toyota's System of Active Stability. What non-car Toyota product would you buy? Tell us on Facebook!